Score a set for your game room! 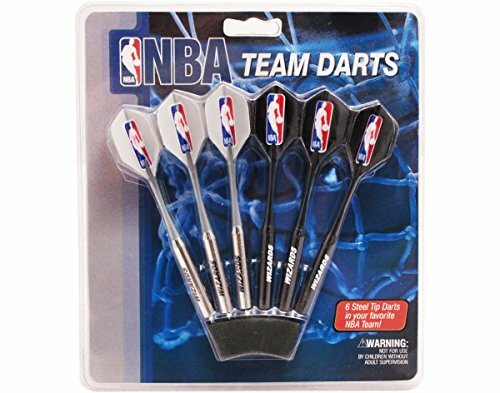 Premium quality steel tip dart set features six darts (3 black, 3 silver) with team name printed on the barrel and NBA logos on the flights. 20 gram darts.